Stephen L. Menke, age 59, of Swansea, IL, born on August 6, 1959, in Blue Island, IL, died on Friday, March 15, 2019, at his residence, surrounded by his family. 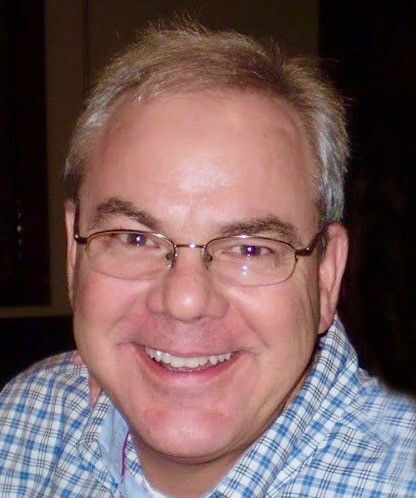 Steve worked as a sales engineer for Honeywell Intelligrated (formerly known as Alvey) in St. Louis, MO; he loved his job and was dedicated to his profession. His hobbies included performance cars, the Viper Club, boating, and he loved to be with family and friends. He formerly served as a deputy coroner for St. Clair County. Steve was a member of the Fraternal Order of Police. He was preceded in death by his parents, Gregory and Agnes, nee Tuberty, Menke. Steve is survived by his wife, Margaret “Peggy,” nee Minor, Menke; his three children, Alison (Ryan) Coates of Swansea, IL; Matt (Sheri) Menke of Houston, TX; and Alex Menke of Scottsdale, AZ; his four grandchildren, Harper and Alexa Coates and Isabella and Maddox Menke; his three brothers, Tim Menke, Mark Menke, and Larry Menke; his four sisters, Alexis (Mike) Malham, Rita (Bob Brown) Menke, Sally (Chuck) Tipton, and Betsy Dean; his father-in-law and mother-in-law, Sandy and Judy Minor; his sister-in-law, Suzie (Jeff) Frailey; his brother-in-law, Joe (Angie) Minor; and many aunts, uncles, nieces, nephews, and cousins. Donations may be made to Belleville Area Humane Society or BJC Hospice. Visitation will be held on Friday, March 22, 2019, from 4:00 to 8:00 P.M. at Kassly Mortuary, Fairview Heights, IL. Funeral procession will leave Kassly Mortuary, Fairview Heights, IL on Saturday, March 23, 2019, at 9:30 A.M. for a 10:00 A.M. mass at St. Augustine of Canterbury Catholic Church, Belleville, IL, with Father Bill McGhee officiating.